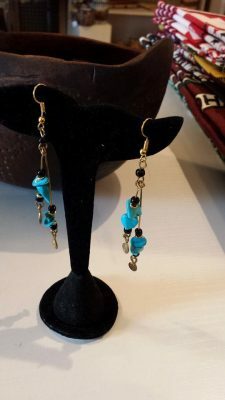 These beautiful handmade light-weight earrings are made with double brass wire attached to four turquoise semi-precious stones and four black glass beads. 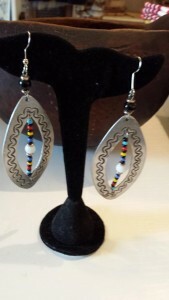 At the base of the earrings there is a flat hammered disk attached. 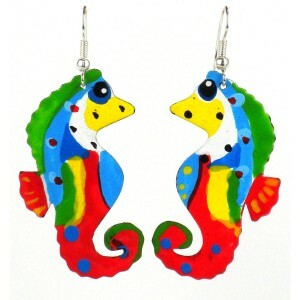 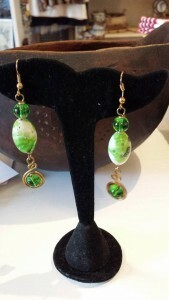 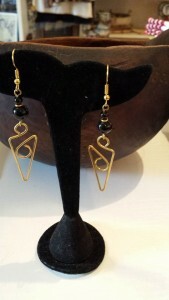 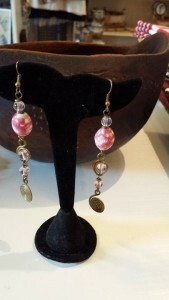 These earrings measure 3.5” in length which includes the drop and are ¼” wide. They are a true One of a Kind.